» Who is the developer and owner of Waterside? » How do I visit the property? » How do we get around on the property? » Where do we get supplies when on the property? » Are there schools in the area? » Where can I find medical and dental facilities? » Can I obtain title insurance? » What are the prices of the parcels? » Who will watch my home when I am not there? » Do you have a map of the parcels available? » Do all parcel owners have water access? » May I bring pets to the property? Q Who is the developer and owner of Waterside? Q How do I visit the property? A If you are planning to visit the property in the near future, contact us prior to making your flight arrangements and we will assist you with arrangements from either your hotel in Belize or the Belize International Airport to our Waterside development. 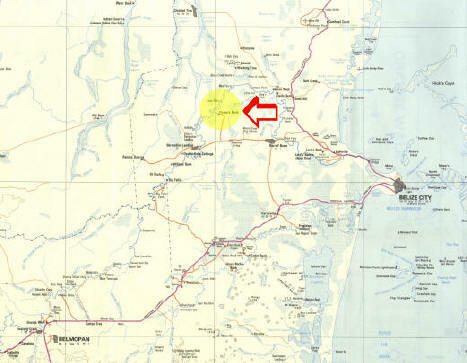 As you exit the Airport make a left onto the Northern Highway and go straight (north) 5.2 miles to Burrell Boom Junction. Make left at Burrell Boom Junction and proceed 3.2 miles and cross over Burrell Boom Bridge and make immediate right turn. Proceed straight 1 mile and see Police Station on your left. Continue .2 miles past Police Station to fork in road and stay to the right side (straight). Continue straight 4.8 miles and cross over Sebastian Bridge (going over Mussel Creek... with great fishing here by the way). Continue 1.1 miles and make right turn at sign to Flowers Bank. Proceed 4.1 miles to the entrance of Waterside on left. Continue .5 miles to the Community. Q How do we get around on the property? A Car, golf car, bike and foot will be the modes of transportation to get around on the property. Q Where do we purchase supplies when living in Waterside? A Supplies may be obtained at the nearby towns of Burrell Boom and Ladyville. Q Are there schools in the area? Q Where can I find medical and dental facilities? There is a well staffed public operated hospital and several private hospitals in Belize City. The district towns also have private and government operated hospitals or clinics. Corner of Chancellor Ave. & Blue Marlin Ave. Please also note that there are numerous medical facilities in Chetumal, Mexico. Q Can I obtain title insurance? A Yes, title insurance is available through First American Title Insurance Company. Q What are the prices of the parcels? A For parcel pricing, please visit the Master Development Plan or Price List sections of our website. Q Who will watch my home when I am not there? A You can make arrangements for a property management company to assist in watching you home when you are away. Q Do you have a map of the parcels available? A Yes, a map of the parcels available may be found in the Master Development Plan section of our website. Q Do all parcel owners have water access? 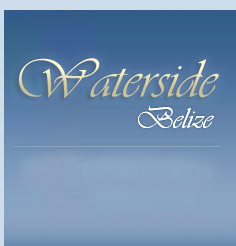 A Yes, all parcel owners in Waterside will have access to the water (the Belize River). There are easements throughout the community that allow interior parcel owners to access and enjoy the water. Waterfront parcel owners cannot restrict or prohibit residents access to or from the river. Also, Belize law provides a setback requirement from where the water breaks to the edge of the first tier of parcels of approximately 66 feet. Q May I bring pets to the property? A Yes, domestic animals are permitted on your property.